Abstract: An estimated 95% of research findings in psychology, behavioral economics, and related fields are based on studies with student samples from Western and industrialized countries. As a consequence, some of the knowledge derived from these usually small and locally-recruited student sample populations has been found to be non-generalizable — a finding that led researchers to call these participant samples “WEIRD”, an acronym for Western, Educated, Industrialized, Rich, and Democratic (Henrich et al. 2010). In this talk, I will show how web-based experimentation with uncompensated samples has the potential to support the generation, replication, verification, and extension of results with larger and more diverse sample populations than previously seen. I will introduce the experimental online platform LabintheWild, which provides participants with personalized feedback in exchange for participation in behavioral studies. In comparison to conventional in-lab studies, LabintheWild enables the recruitment of participants at larger scale and from more diverse demographic and geographic backgrounds: In less than two years, LabintheWild was visited more than 2 million times, and nearly 750,000 visitors from more than 200 countries completed an experiment (an average of about 1,000 participants/day). I will discuss how participants hear about the platform, and why they choose to participate. Presenting the results of several experiments, I will additionally show that LabintheWild is a feasible tool to conduct cross-cultural studies. 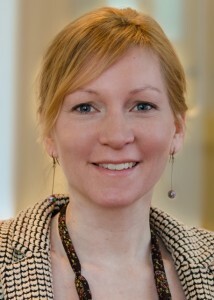 Bio: Dr. Katharina Reinecke is an Assistant Professor at the University of Michigan School of Information. She received her Ph.D. in Computer Science from the University of Zurich, Switzerland, in 2010, and spent her postdoctoral years at Harvard School of Engineering and Applied Sciences. Her research focuses on cultural differences in users’ interaction with technology with the goal to create culturally intelligent user interfaces that automatically adapt to people’s preferences and perception. To achieve large-scale comparisons of various cultures, she employs datasets from companies such as Doodle and from her own experimental website LabintheWild.org. KMDI Talk: Cosmin Munteanu : Dude, Where’s My Interface?